Following the publication of Heart Poems Captured From Dreams, it felt right to continue along the poetry path. 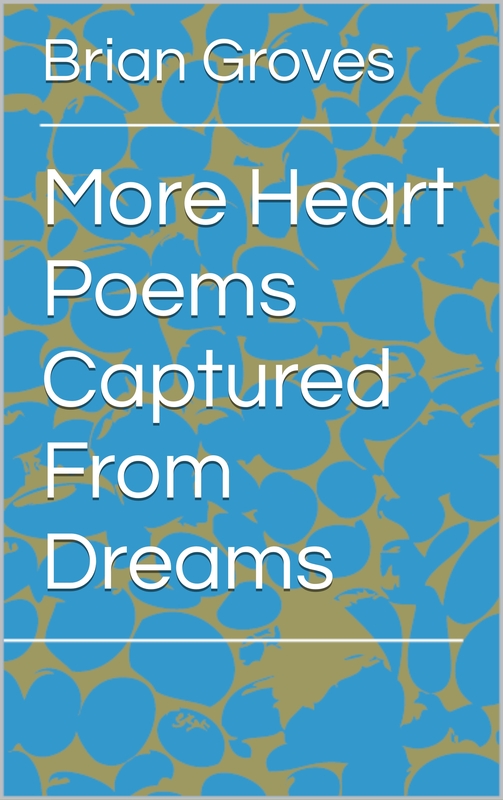 As an expression of ideas, reflections and general musings, More Heart Poems Captured From Dreams indeed brings more ‘heart poems captured from dreams’ into being. Captured by a dream we might find sleep difficult. Captured by a dream the day could offer us too few hours to achieve all we want for the sake of reaching our objective. Rather than producing a traditional self-help book along the lines of How to deliver your potential successfully on the stage of work, the format used in More Heart Poems Captured From Dreams, as in Heart Poems Captured From Dreams, lends itself to a more open and abstract creation. Nevertheless, as a support throughout the challenges and opportunities life presents, poems are valid. c) Apply any new thinking in your life. I hope More Heart Poems Captured From Dreams becomes a catalyst for further reflection and renewed enthusiasm. Though I am experienced in the field of professional and personal development, you are the expert on your life. Implementation of any new thinking will, of course, need to be undertaken by you, I cannot do it for you. With the compendium of ideas arranged, the themes of development, potential and joy become clear. As you are here, let me thank you for your presence and wish you Happy Reading! This entry was posted on Thursday, March 16th, 2017 at 9:46 am and is filed under Being present. You can follow any responses to this entry through the RSS 2.0 feed. You can leave a response, or trackback from your own site.